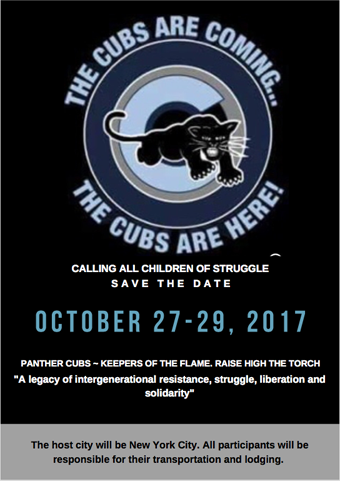 Panther Cubs & Children of Struggle Event – Free Russell Maroon Shoatz! 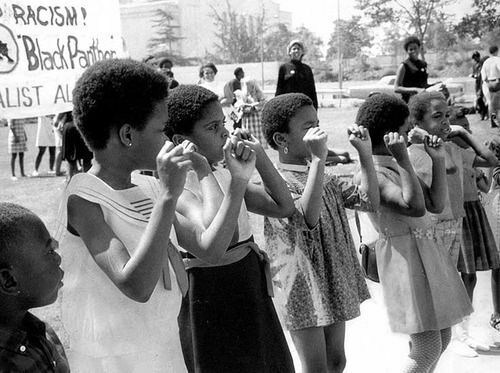 The reception and responses to the Panther Cub event has been phenomenal. To ensure the success of the event, it is imperative that at a minimum, 35 attendees are RSVP’d prior to August 31, 2017. Not reaching this goal will require a reassessment of the scheduling of the event. So join the registration campaign and spread the word, “The Cubs Are Coming”! A PDF of the tentative schedule of events can be found Here. film entitled “Panther Cub: My Journey To The Frontline”. Sophia Dawson, 29, is a Brooklyn based visual artist who has dedicated her life’s work to exposing the stories and experiences of individuals who are striving to overcome the injustices they face both individually and collectively. Corona Queens/Bronx Minister of Information Panther Cyril Innis Jr. affectionately known to many cubs as “Uncle Bullwhip” will be the host for the exhibit. Bullwhip has also graciously donated some of his personal archives to this exhibit. All revolutionary children and cadre of the struggle welcomed. Allegra Taylor, daughter of fallen comrade Hugo “Yogi” Pinell will speak and share her story about her father, a political prisoner who served over four decades in solitary confinement. Within two weeks of his release from solitary confinement into general population, Hugo was killed. Whitney Jackson, singer songwriter from South Orange, NJ loves to inspire and encourage her people to love themselves and each other through her raw vulnerability, positive energy and soulful vibe! Felicia George, Activational Lyricist, Songwriter and Activist from Maplewood, NJ creates music to educate the youth about social justice and black history, while empowering and inspiring them to fulfill their dreams regardless of society’s “no’s”. Comrade, paralegal, bar and restaurant owner Shabaka Shakur, has graciously donated the use of his newest establishment, Brooklyn’s own 718Live as the entertainment backdrop for the Cub Weekend Event. Shabaka, who was wrongly convicted served 27 years. During that time, he studied the law and got the attention of Ron Kuby. Shabaka while incarcerated interacted with some of our most highly regarded and esteemed political prisoners; Herman Bell, Jalil Muntaqim, Seth Hayes, David Gilbert and our ancestor Noah “Nuh” Washington. Shabaka is the founder of “Absolutely Innocent”, a non profit that helps those who are unfairly incarcerated.